Kate Daniels, a detective is has been haunted by a murder case nearly a year old. A girl and a priest were murdered, the priest had a prayer card in his hand at the time of death. The case is cold as ice, but the girl's parents are always in touch with Kate, their grief keeping the case in Kate's mind. 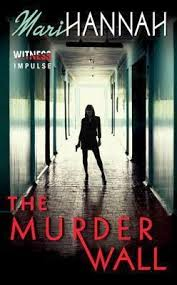 But, when Alan Stephens is murdered, a man familiar to Kate, she has to decide if she should tell her superiors about having prior knowledge of the victim, or keep that to herself so she can stay on the case and further her career. The suspects include the victim's ex-wife, his current wife, and maybe even his two sons. He wasn't a very likeable guy. The evidence though begins to point to one person specifically. This makes Kate very uneasy. She can't bring herself to believe this person capable of the crime. Her view may be a bit skewed because of her prior knowledge causing her to approach this case in a way she wouldn't otherwise. To complicate things her boss is taking care of his terminally ill wife, and is half in love with Kate. But, he still won't let her continue to pursue the cold case that eats away at her until this crime is solved. This is a dark, moody British crime drama. It is very atmospheric and suspenseful. There are many taut scenes that have more to do with secrets Kate has to keep and the possibility that all them may come out as a result of this case. The story is multi layered, introducing us to the staff that Kate works with and dealing with the ins and outs of working as a unit, while hoping to keep one's private life, private. There is also a great deal of good old fashioned detective work going on. If you like British Detective mysteries, you should like this one. It isn't old school, it's really modern but it just carries that British tone that makes these mysteries so appealing. Thanks to Edelweiss and the publisher for the digital copy of this book, in exchange for an honest review.